Agricultural education has never been more important. And now, thanks to a trio of Oklahoma institutions, it has never been more mobile either. 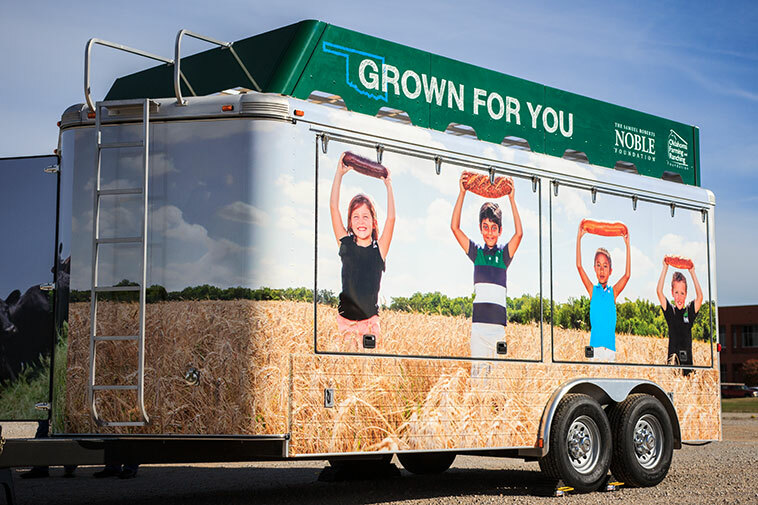 Together, The Noble Research Institute, Oklahoma Farm Bureau, and the Oklahoma Farm Bureau Foundation for Agriculture provide a mobile agricultural education trailer called the Grown For You mobile classroom to provide students a fun, fast and factual look at Oklahoma agriculture. 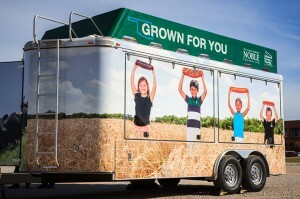 The Grown For You mobile classroom will deliver its messages to audiences at elementary and intermediate schools, county fairs, and other community and special events. The Grown For You trailer uses videos, presentations and interactive games presented on four 46-inch outdoor TVs. 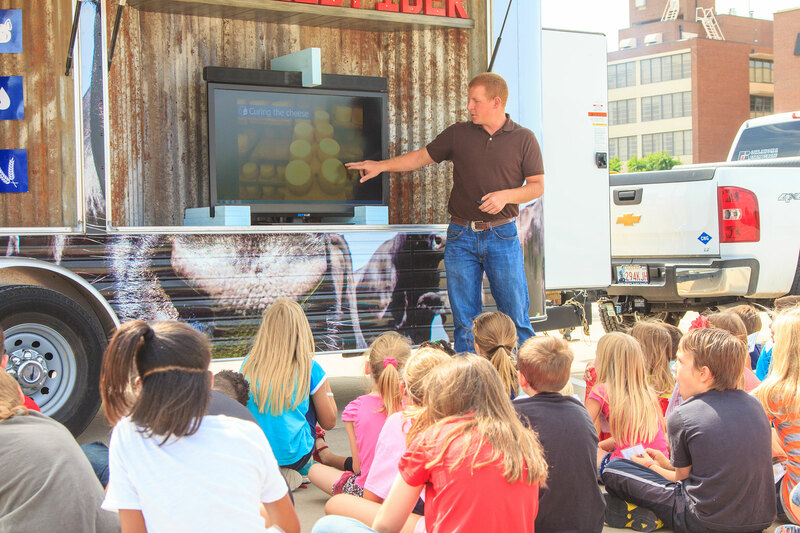 Short videos focus on various commodity crops grown in Oklahoma, while demonstrations bring a hands-on element to audiences. A packed picnic basket teaches students about the obvious – and not so obvious – agricultural origins of items typically found on a picnic, from the beef in a hamburger to the ink on a bag of chips. The Grown For You mobile classroom is ready to visit schools and communities.  The mobile classroom will be scheduled and operated through Oklahoma Farm Bureau, and updated and supported by the Noble Research Institute. Anyone interested in bringing the trailer to their area can call now to get on the schedule. For more information or to schedule a visit, contact Todd Honer at (405) 523-2391.